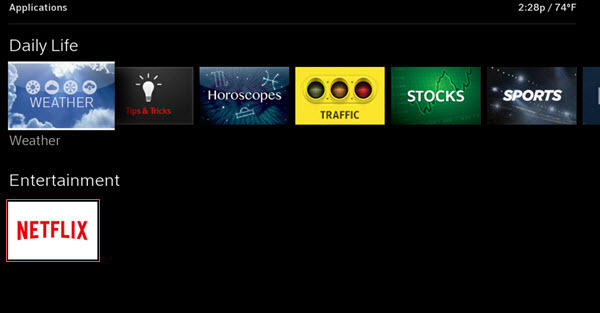 Netflix TV shows and movies are integrated directly into the browse menus and search functionality of Contour 2. Contour 2 does not support any 4K content, and will not stream any 4K content regardless of Netflix streaming plan. You must have a compatible Contour 2 receiver, or you will not have access to the Netflix app. You must subscribe to any level of Cox residential Internet service. You must subscribe and sign in to Netflix, to browse menus and use the search functionality. You can now sign up for Netflix directly from your Contour 2 receiver by completing the next steps. You will be billed by Netflix directly, charges will not display on your Cox bill. On the Cox remote, press Contour. Using the arrow keys, highlight Apps and press Ok.
From the Contour Applications menu, use the arrow key to highlight the Netflix app and press Ok. Result: A sign in window displays. If you are a Netflix subscriber, refer to Signing In to the Contour 2 Netflix App. If you are not a Netflix subscriber, select Sign Up. New Netflix customers are offered a Free Trial membership. Note: If you have a Netflix account under a different username, refer to the Netflix Help Center to resolve this issue. Select the level of service that works best for your needs. From the Sign Up window, create a Username and Password, then press Ok. Complete the following based on the displayed options. 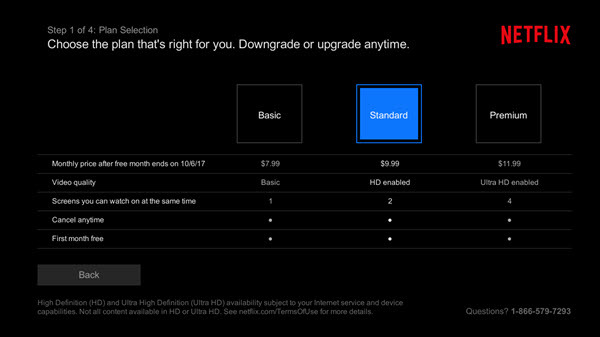 If you are presented with the option to be billed through Cox, then the Netflix membership charges will display on your Cox bill. 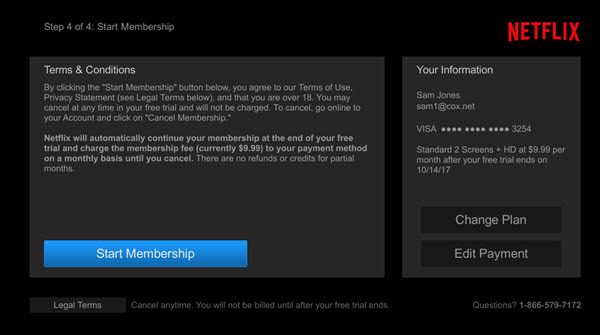 For information about Netflix billing through Cox, refer to About Netflix Billing. 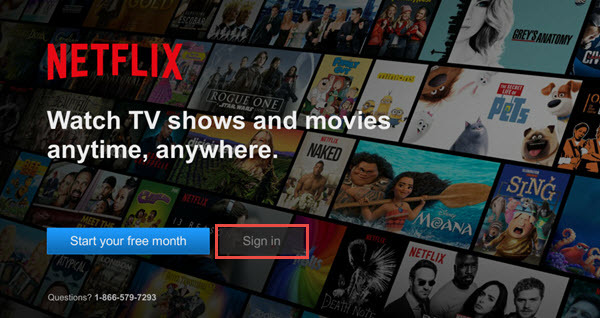 If you are not presented with the option to be billed by Cox, then to start your Netflix membership, you will need to sign up at Netflix.com. For information about billing through Netflix, refer to the Netflix Help Center. Note: For more information related to the Netflix free trial, refer to Netflix Help Center. Press Ok from your Cox remote. Review the Membership details. If all of the information is correct, then press Start Membership.